The effects of breast cancer are far-reaching. One in eight women in the U.S. will develop breast cancer in her lifetime. We're asking for your help in reaching a goal of zero more lives lost to this devastating disease. Throughout October, Mizuno and Fleet Feet Sports, with support from the Breast Cancer Research Foundation, will unite together to launch ProjectZero, an initiative raising funds for breast cancer research. 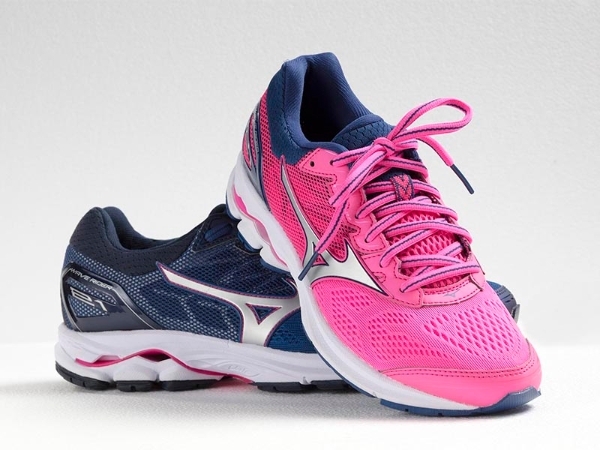 As part of this initiative, Fleet Feet Sports will be the exclusive retailer of a limited production, men's and women's special edition of the BCRF Wave Rider 21, Mizuno’s cornerstone running shoe. Fleet Feet Sports will also sell a limited production Mizuno performance t-shirt bearing a custom pink shoelace insignia. For each t-shirt and pair of shoes sold, the BCRF will receive a donation of $5 and $10, respectively. In-store pre-sell starts Sept. 18. Launching nationally Sept. 29. Happening only at Fleet Feet Sports. EXCLUSIVE: Mizuno BCRF Wave Rider (above) and Mizuno #ProjectZERO shirts (below).